If you are like Most people, you are probably unsure of the home buying process and knowing how to get started. Most People start by searching homes on Zillow, Trulia or Realtor.com or other website. This is ok as a lot of people like to just see whats out there first before they start the actual process. However, I'm going to list the steps below you need to take to get serious about finding your Dream Home. 1. The First thing you need to do is Find a Buyers Agent to Represent you! A Buyers agent will represent YOU the buyer in negotiations and will have your best interest at heart. The Listing Agent represents the Seller in negotiations. The Listing agents fiduciary responsibility is to the Seller. A Buyers agent has knowledge on the local real estate market and what is typical to ask for in contract negotiations. They should have knowledge of typical sales prices in the area, custom closing costs to ask for, and whether its typical to ask for home warranty, termite letters, etc. A Buyers agent should also have knowledge of home inspections, repairs and have a list of vendors to work for. The due diligence period is another negotiation period for the buyer and seller. A Buyers agent should be able to understand the closing process and be able work with lenders, inspectors, repair contractors, closing attorneys, etc. to help get your property to closing. A buyers agent's job goes far beyond just showing property. 2. Get Pre- Approved for a Mortgage! If you are not currently working with a lender, ask your Buyers Agent to send you a list of their approved lenders. Most agents like working with a lender they are familiar with to help the closing process go smoothly. A good lender will ask you for your SS#, address, job, and possible documentation up front prior to getting a pre qualification letter. This will save trouble in the future and insure that you are absolutely qualified to purchase a home. Once you are ready to go with loan, you and your agent can start looking for homes! 3. Have your Buyers Agent set you up on a Personal Website that will meet your specific criteria such as location, schools, price, size, etc. A good buyers agent know how to set you up a personalized website that will email you daily with new listings that come on the market. They will also possibly know of homes that might be hitting the market soon. This helps in times of low inventory when homes are scarce. While Zillow and Realtor.com are good websites to look at homes, they are not always accurate. Our past experience with Zillow and Trulia are they list homes that are not actually available. Be aware also that there are 'scam' artist out there who may posts homes for sale/lease to these sites that are not actually their homes to sell. ALWAYS use a Buyers agent to help weed out these potential scams. In addition, the 'zestimates' are not accurate as well so please be aware that does NOT indicate a good list or sale price. 4. Get a List together of homes you would like to see and have your agent set up appointments. Meet with your agent to visit the homes you think you might want to see. If possible, drive by the areas first to make sure you like the neighborhood. Don't panic if you have to look at 15 -20 homes to find the right home as sometimes the pictures may not be representative of the actual home. If you are one of the lucky few, the first house you see may be the one for you! Dont be afraid to go with what feels right for you! Your buyers agent will guide you through this process so please Listen to their advice! The agent's fiduciary duty to you, as the buyer, is to work for you! You will discuss together the best offer you need to make, for that particular property , and move forward. Sometimes buyers will have family members and friends voice their opinions on what to do. Just remember that a good Buyers agent does this for a living and is there to answer your questions and concerns. It's nice to have friends and family looking out for you but ultimately, if you have a good relationship with your agent, they should be the ones to guide you during this process as every property is different and what you may ask for one property, you wouldn't for another. Your agent will set up the closing, coordinate all necessary paperwork with lender/closing attorney/agents, help schedule inspections and negotiate repairs, and work closely with everyone to insure a smooth transaction. We hope this helps you understand a little of the buying process. 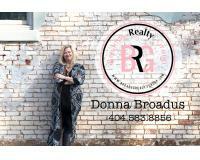 At Broadus Realty Group, we have an excellent group of buyers agents who specialize in working ONLY with buyers. They are educated in the market, contracts, negotiations, etc and can help you find the right home for you! Best of all, our buyers agents services are FREE to the buyer as the seller most always takes care of the commissions. Call us TODAY to get started on your new home search!